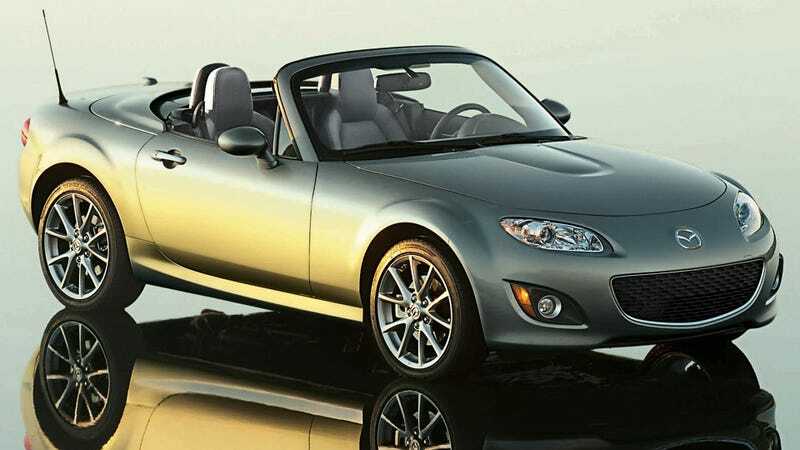 To mark the sale of 900,000 Mazda MX-5s and Miatas, as well as disguise the aging parts underneath, Mazda will offer a 750-vehicle special edition MX-5, with all the available suspension goodies and a limited-slip differential standard. All the SE Miatas will be hardtops and all will come in either Sparkling Black Mica or the equally feminine sounding Dolphin Gray Mica. Additionally, the little roadster will sport chrome and a aluminum trim pieces wherever possible. Prices: $30,925 with a manual transmission, or $31,525 for those who think driving should be like eating with a mouthful of Novocaine.